The fastest man alive is faster than ever before. 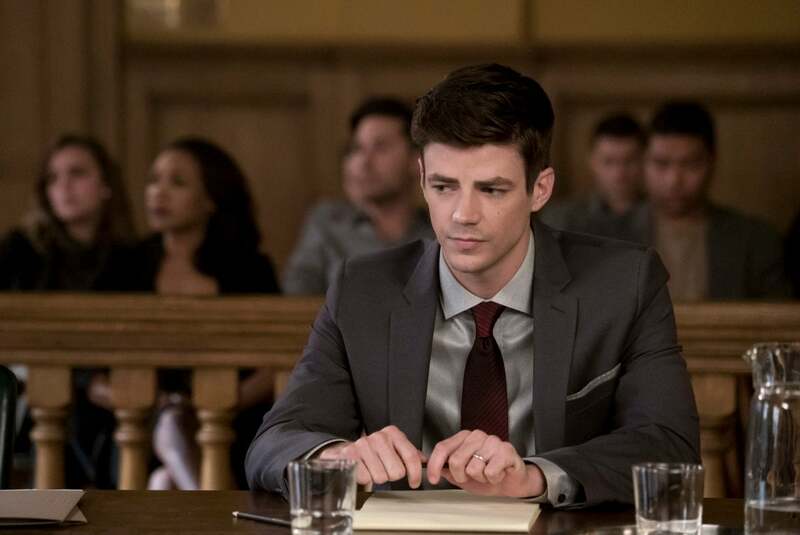 Barry Allen’s on trial for murder on The Flash in “The Trial of The Flash,” and there’s nowhere he can run from justice. During the climax of the episode, Barry wields a dramatic new power that proves he’s faster than ever. It’s just too bad that his freedom is on the line. In the mid-season finale, “Don’t Run,” The Thinker transferred his mind into a younger, healthier meta-human and framed Barry for the murder of Clifford DeVoe — who was seemingly left as a brainless husk after the aforementioned transfer. The Thinker thoroughly set up the framing to set Barry up, and the evidence is totally stacked against him. The prosecutor for the trial is district attorney Anton Slater against Cecile’s defense of Barry. Slater deftly builds his case rather quickly, calling into question Barry’s unapproved six-month “sabbatical” to the Czech Republic (the excuse they gave for Barry being in the Speed Force), and he also highlights the 72 times Barry’s been late to work over the past two years. 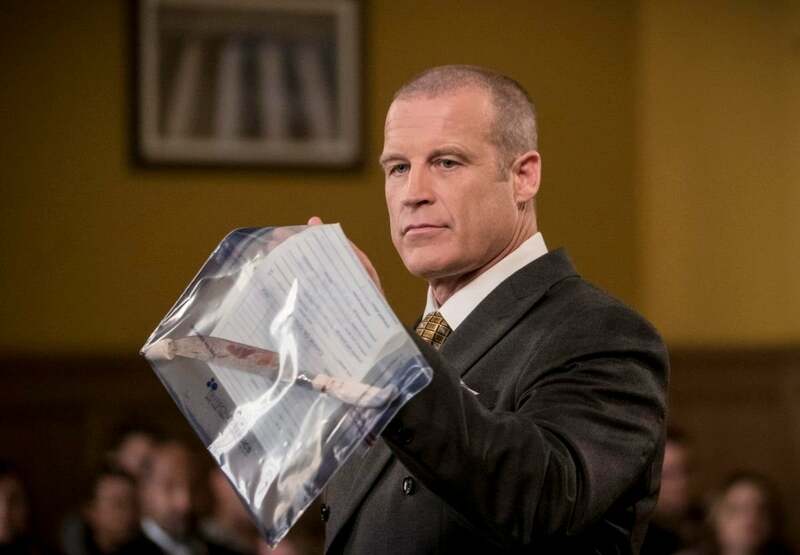 Mark Valley as district attorney Anton Slater, who prosecutes Barry. His entire case is built around the many suspicious details in Barry’s history, as if he has a secret identity … as a murderer. As such, even the few people that do publicly vouch for Barry’s character aren’t enough to convince the jury. 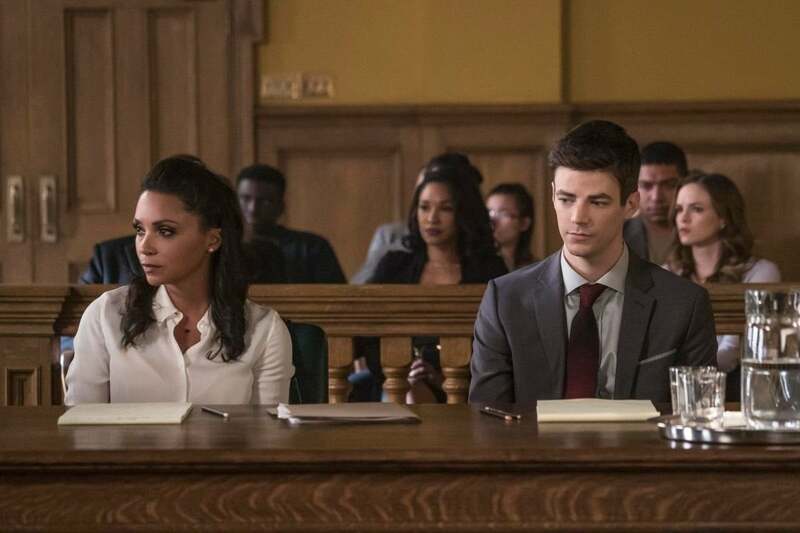 Cecile and Iris recognize that the only way for Barry to win the case is for him to take the stand and testify with the truth, admitting that he’s The Flash. But that’s not something he’s willing to do. Just then, Barry reveals a new power. He rushes over to Iris and holds her in front of everyone, but he explains that he’s moving so fast that everyone else is still. They hold a lengthy, tear-filled conversation like this, and Barry’s able to run back without anybody noticing what happened. Barry worries about the courtroom drama. Barry’s not even sure how he was able to move this fast, but in case you were wondering, those speed levels are pretty much faster than is conceivable. Ultimately, Barry Allen follows in his father’s footsteps. After saving the city one last time against a nuclear-charged “bus meta,” Barry’s convicted of the murder and sentenced to life in prison without parole. Legally speaking, Barry can never leave jail — until he does — which means that either Team Flash will figure out a way to have the conviction overturned or we’ll eventually get his secret identity publicly outed. Either way, The Flash is starting to really frustrate its viewers, and next week’s episode that will see Ralph become a hero doesn’t seem like it’ll deliver. On the plus side, maybe now this means that we can get The Flash on the DCTV version of the Suicide Squad? It’s doubtful, but we can dream, right? If only we could see Barry team-up with other Arrowverse criminals. The Flash airs Mondays on The CW at 8 p.m. Eastern.